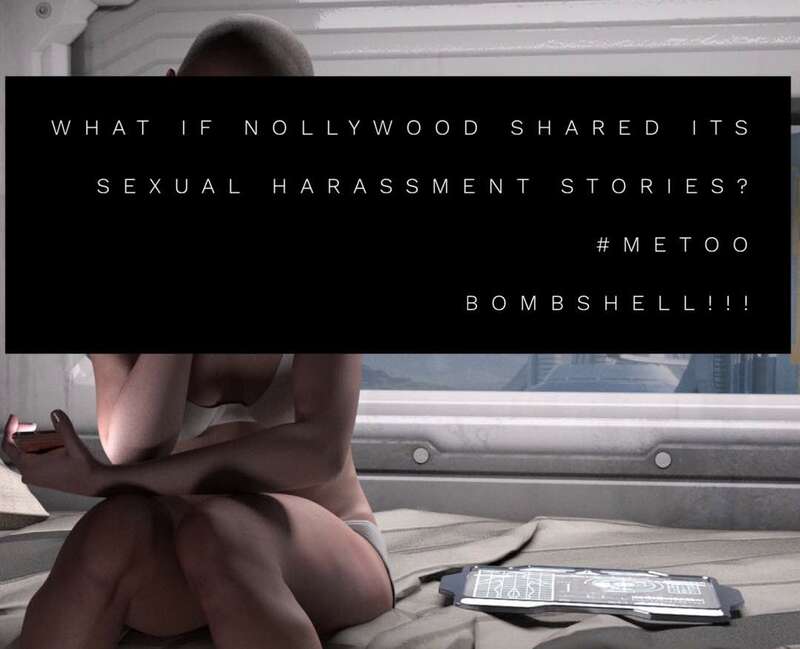 For some of us not in the know, there is a hot-cake scandal of a big Hollywood exec who has been alleged to have assaulted and harassed several women in Hollywood. Following the allegations, the #MeToo movement on social media is to enable other women around the world identify if they have been victims of sexual assault and harassment. In brief, the purpose of this movement is to stand against sexual assault and harassment, saying enough is enough. What has a scandal from all the way in America got to do with us? Quite a lot! I muse over the fact that if Nigerian women; and it may surprise a few of us, men too, should share our #MeToo stories, we would actually shut down Twitter and any other social media outlet that exists. This is not saying that it only happens in Nigeria but I am Nigerian so this piece is fashioned to the environment I know. To return to my train of thought: I believe what catches my attention is not even the stories of blatant assault and harassment suffered by countless people, but actually the accepted standards of sexual misconduct within Nigeria which has drawn its weave within our society to the point where we are numb to various displays of this egregious acts daily. Case in point: Boy and Girl are on the dancefloor, one or the other gets into the rhythm of the music and starts to close the ‘gap’ between both bodies. Before we say “Yeba” , one person lays their hand on another person’s waist suggestively and the dance takes another turn. Now, the person who is being touched tries to put some distance between the bodies, not appreciating the familiarity, the other person terms it as “shakara” and starts to apply more pressure to getting his or her way (with the erroneous thought that “yanga” will end after some persistence). If the offended now shows their offence, they are termed as overreacting. Bringing it home, when everyone is chilling and mingling, how often do we digress into sexual innuendos and then guys start touching you suggestively but mind you, as a “joke”. After all, we are not overly sensitive people! And I could recount countless stories of some friends who go in for a business meeting and the potential client thinks it is okay to move from his seat to the seat right beside her and start stroking her, telling her “why are you being so serious?” and then when she wants to leave, he says “ahn ahn, someone cannot play with you again? It’s like you don’t want this account from me ooo”. What strikes me as funny is even as people recount these stories, we on the listening end laugh it off and say “all these men sef”. We are desensitized to the gravity of what happens to us daily. Imagine my surprise when Nigerians reacted to a certain incident that occurred when the last Big Brother Nigeria aired. My surprise came from the fact that we could actually recognize what sexual assault looks like because to be honest, the alleged action is one that occurs on a regular and we shrug it off as a guy making a move on a girl he likes “Naija-style”. I will be the first to admit that even when a friend brought it to my attention, my first response was “Why are Nigerians attacking the guy, but guys do that” and I will apologize because it shows that even I am part of the problem! This is a decision that the court of public opinion has to take because our present laws in Nigeria (The Criminal Code, Penal Code and VAPPA) are limited in the protection they offer us. But the change starts with us first before we call for the attention of the lawmakers. Disclaimer: I love the song “Yeba” so I use it as an illustration. I am in no way discussing the merits of the song.